Do Predictors of Incomplete Kawasaki Disease Exist for Infants? Kawasaki disease (KD), an acute febrile vasculitis, is the most common cause of acquired heart disease in infants and young children. However, the diagnosis of infantile KD can be difficult or delayed due to vague clinical manifestations. 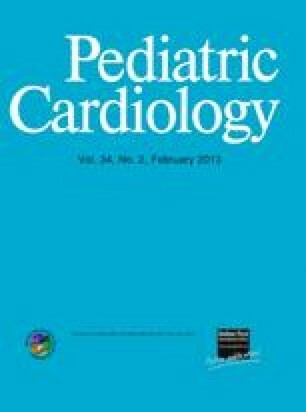 This current study aimed to assess the clinical characteristics and cardiac complications of infantile KD. The study retrospectively reviewed the data of 242 patients with KD. The clinical, laboratory, and echocardiographic data between infants and older children were analyzed. The patients were divided into two groups: infants 12 months old or younger and children older than 12 months. The rate of incomplete KD was much more frequent in infants. During all phases, prohormone brain natriuretic peptide (Pro-BNP) levels were higher in infants, as was thrombocytosis. The coronary artery z-score was higher in infants at all phases of KD. On tissue Doppler imaging, the E/E′ ratio (ratio of transmitral Doppler early filling velocity to tissue Doppler early diastolic mitral annular velocity) was higher at the septal and lateral annulus in infants. Infant patients with KD are at increased risk for the development of coronary abnormalities and diastolic dysfunction. Higher levels of Pro-BNP and thrombocytosis with diastolic echo parameters of a higher E/E′ ratio can help to identify incomplete KD in infants.